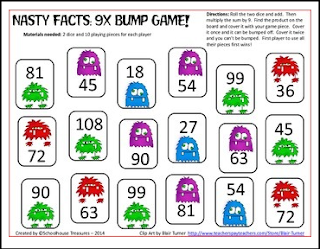 Do your students need practice with the nasty x9 facts? 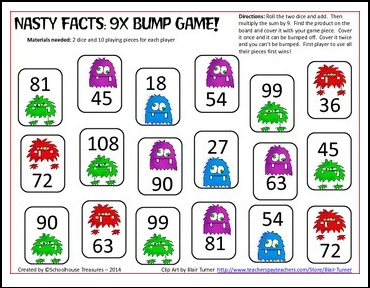 Here's a fun bump game freebie to provide them with that practice! If you like this, then you might want the full set of games that practices 6's, 7's, 8's and 9's - all the "nasty, gnarly" facts as my students call them.